Castle of Gageac is a charming chateau in South Bergerac, overlooking the Dordogne valley and surrounded by vineyards. Its design, with simple and yet imposing lines, makes the castle a balanced and harmonious construction. 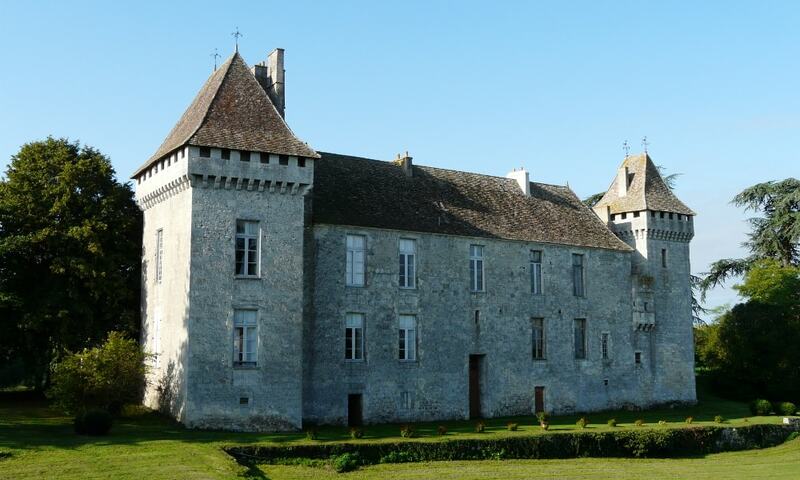 The castle originated as a fortress which was meant to protect the nearby Castle of Duras. The first stronghold was only composed by a square keep, defended by wooden fortifications. In the middle of the 14th century, the castle defenses were complemented by adding a second tower and a second curtain wall, flanked by watchtowers. During the Hundred Years' War, King Charles V decided to reclaim the region (which at that time was in English hands) for France. In 1377, the castle was besieged by the King's brother, Louis I, Duke of Anjou who managed to take the stronghold by the end of the year. In the following years, the castle came into the possession of the de Vivans family, who turned it into a comfortable residence. The castle has been in the ownership of the de Vivans for six generations and today, it is still the property of a member of the family. An interesting and notable feature is a large dovecote that faces the castle.